With great aplum I would like to announce that my story “Another Life” has found a home in Vol 3 of the sci fi anthology series Future Visions. What makes us human? This is a question proposed in a lot of science fiction as technology encroaches on our lives, for good and ill, and as technology advances in intelligence and human capability. Is our memories downloaded into a computer our continued existence or just a computer with memories? Can artificial intelligence reach the point of humanity? What standard even is that? What about androids? What about clones -- separate individuals or the same? How much of us can become technology and still be us? Are we bodies or brain or souls? I took that classic quandary of what makes us human and what defines are personhood, and grafted that together questions of womanhood. At the time of writing, I was having a lot of personal anxiety about my personal identity and role in the world as a woman in terms of the set roles that are often expected of us. Motherhood, marriage, taking your husband’s last name, etcetera and so on. This definitely comes across in this and some other short stories I wrote about the same period. I think those themes of sci fi personhood and female identity converge as natural metaphorical partners. It sounds so deliberate and grand when I explain it like that, but it was a lot more intuitive in the actual writing. I’ve realized certain anxieties and opinions that have influenced by writing after the fact. I recall having a very specific vision for “Another Life” with the ending known and very specific beats imagined along the way. So I wrote it, beginning to end, hitting those beats and coming to the end in a pretty painless experience. Reviewing it, however, I quickly saw that all that emotional beats I had imagined weren’t enough to support the entire story. The ‘twist’ reveal of the end came out of nowhere and needed better set up. My rewrites of “Another Life” were, in this case, mostly additive. This experience speaks a lot to my process of writing. What draws me to the story is the characters, the themes, or the emotional beats. Plot is of secondary interest. Plot is something I have to work on and build more deliberately. Sorry, this post is long enough, but I can’t help to stop and highlight one of my favorite, perhaps innocuous lines. I remember writing this line. I remember where I was when I wrote it. That’s how much I like it. If you haven’t read “Another Life” yet this line drops when the main character Dana comes to a certain realization. She is lying awake in bed, on her side, back to her husband. I like this line because it implies a lot, it is a metaphor so integrated in the scene it is barely a metaphor. Like the wall she is staring at and finally noticing the paint color that has been there surrounding her the entire time, so to does she this revelation come to her. Just there. Like paint on the wall. This and “The Pawnshop of Intangible Things” are two of my favorite short stories I’ve written. I have been shopping around “Another Life” for a while and have never wanted to give it up to a throwaway magazine. 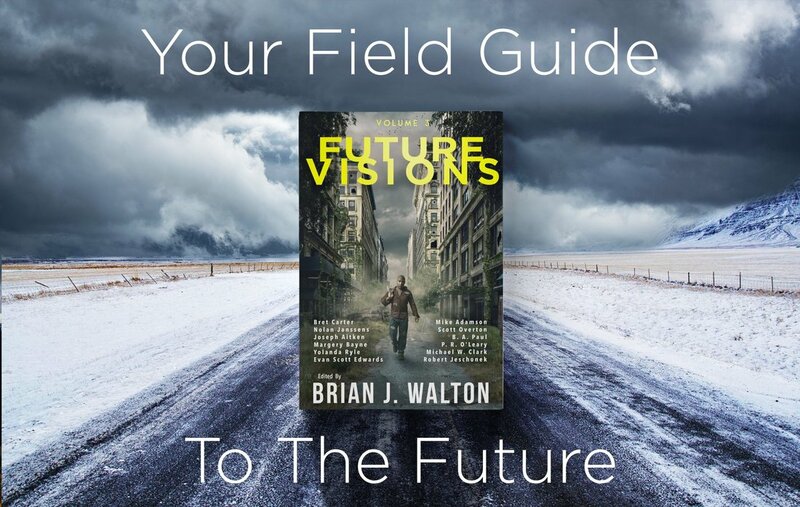 I’m excited that it found its place in this rather cool indie published venture of Future Visions and editor Brian J. Walton. I’ll probably write a blog on that experience when I’m a little farther down the road with it than now. I’m a bit of a connoisseur of writing advice. (Alright, here I am being overdramatic again.) I read, watch, and listen to a lot of it. I believe in it as equally as I believe in having a healthy skepticism of it. And yes, I say this even as I put my own “writing advice” up on this blog. However, a lot of my “advice” is my perspective on adages that are being thrown around and some are for my own edification. There are answers to these questions: Can I explain my own process? In doing so, can I better said process better? But this blog post is not about the value of writing writing advice, but about the value reading it. And all that comes from reading it, processing it, and learning from it. This is about what to read, and what is the best way to read, and why. The first advice of writing advice is… all writing rules are more like guidelines than actual rules. (Yup, Pirates of the Caribbean reference). Creative writing is… just that, creative. It is an artform. Language itself is an evolving thing. Favored forms of storytelling changes over time. There is no rigid formula, format, or checklist that all stories must match or that you must adhere to. Or that you can adhere to for perfect success. We might call writing rules “best practices but use your judgement” situations. We might call writing rules “you do not have to follow these, but if you aren’t know why you’re not” type of things. What writing rules are not are laws that you will get thrown in prison if you break. The second advice of writing advice is… Writing advice can come from a lot of sources. Embrace the sources. 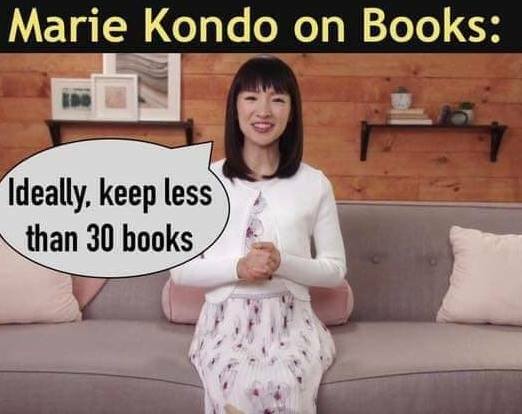 Read blogs and books. Listen to podcasts. Watch youtube videos. Good advice can come from multiple sources. I do not prestige one format of writing advice over others, because they are all coming from different places and times. A book of writing advice might seem more official, but it might just mean the writer is better connected. A successful indie author might share more about their writing process on a blog or in youtube videos than in a formalized book. Or that the book is just older from a time before the explosion of the internet. On the flipside, just because someone makes a well-edited youtube video does not mean their advice is sound. No format is inherently more valid than another, it is just the avenue for delivering the information. By opening up to multiple sources, you get perspectives from new talent and old hats, indies and traditionals, and all that jazz. 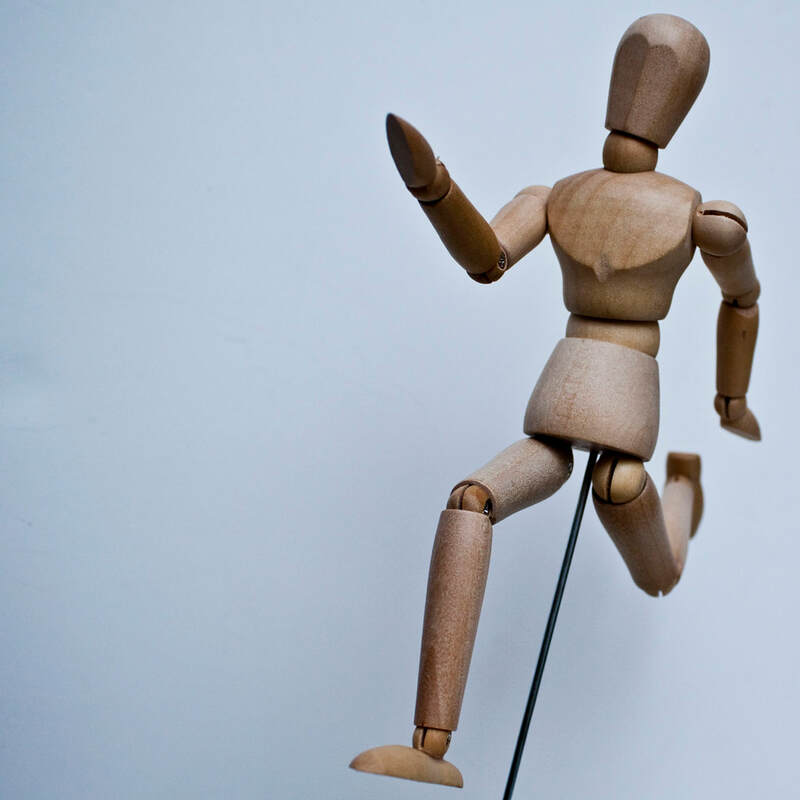 The third advice of writing advice is… Don’t follow one person’s advice religiously. Do read writing advice that contradicts. This is a two sides of the coin thing. This builds off the last point of going to multiple sources. Writing is an artform and extremely personal. We all have different methodologies that click for us, or different styles. It is good to get a well-rounded perspective on writing and publishing that are provided on the internet, and through other sources. I am a regular to several writing blogs that have different advice on multiple issues (writing fast, rewriting, and traditional vs. indie publishing for prominent examples). Sometimes they react very different to the current event of the day in the writing/publishing world, and I can learn something valid from both perspectives. Sometimes they even indirectly respond to each other’s points in opposition. I, and you, do not have to take sides, and most of them time they aren’t asking you to. They are just trying to share their perspective and often hard-earned knowledge with you, the reader or watcher. It’s up to you what you do with it. The fourth advice of writing advice is… Take advice from people who’ve “made it” but define “made it” broadly. Read advice from writers of different walks of life. That means best-selling authors, and midlist authors, traditionally published and indie authors, from your favorite fanfic author, from the authors whose books you read and the person whose books you haven’t. From this genre and that genre. Someone who is consistently writing and producing stories that either get published or find fans… they are onto something. The fifth advice of writing advice is… Interrogate writing rules of conventional wisdom that are repeated so much they have become meaningless or flanderized. A good example of this is the adverb adage (cut all adverbs from your writing) that exploded in all directions when some publishing or agent person on twitter said to cut all adverbs and adjectives from your writing completely (like that would make any sense at all.) Of course, in response a lot people come out in defense of adverbs, and ‘in response a lot of people came out in the defense of adverbs’ is one of the stranger sentences I’ve typed in earnestness. Honestly, to interrogate this advice, and both sides of the argument, the truth is somewhere in the middle. Fact is, -ly adverbs (a specific brand of adverbs) can make awkward reading and generally can either be cut as necessary or replaced with a stronger verb. Stronger verbs often make for stronger writing… but there are tons of potential exceptions to this. (I actually wrote a whole blog post on this particular adverb issue that you can read here). But the particulars of this particular issue isn’t the point. The point is that there is usually some grain of truth that these blanket writing adages come from, but they get a little too repeated without thought put into them, so yeah, interrogate. Do not blindly follow. Heck, maybe not blindly disregard either though. The sixth advice of writing advice is… no amount of writing advice read can replace the actual practice of writing. Do not fool yourself into think you can accumulate all the knowledge of the how-to of writing that when you sit down to write, suddenly all the words and plotting and character development and thematic resonance will come out perfectly. You wouldn’t imagine that learning about soccer from a book would make you a soccer star without practice; the same principle applies with writing. The seventh advice of writing advice is… the point of reviewing a diverse amount of writing advice is not to find the Holy Grail that works for all writing, but to continue your writing education and find what works for you. Those are the good days. The days when you find writing advice that just really works for you. That speaks to you and the way you think. That finally explains a concept you’ve heard explained a hundred different ways before and now it finally clicks. Not the Holy Grail, but your own personal holy grails. Of course, Thanksgiving is the time of year we are called on to think about what we are thankful for. So, here I am, being thankful. I am thankful for my new job. In August of this year I started a new job at a new library system. This was after several months of job searching after I decided I couldn’t continue with my current position due to the unsupportive and rough conditions at my place of employment. Just a few months in I am so glad of the change, of the new teamwork-oriented environment, and of how this has reflected positively on my mental and emotional health. I am thankful of my new living situation. This October marks one year being roommates with my brother and it is a very nice situation. I have two more publications coming out before the end of 2018. I’m thankful for that too. A few months ago, I was sitting in the audience of a literary panel for “Writing Characters with Agency” at Balticon, a science fiction and fantasy convention in Baltimore. During the panel, one of the audience members asked for writing advice on how to keep characters internally consistent when making them do something essentially “out of character” using an example of a lawful good character doing a bad thing. While the panelist shared many a insight, this question got my brain turning and coming up with answers that were not brought up at the time. So how you keep a character “in-character” and consistent while also working to a moment where they break that mold? So let’s break down some different ways to get characters do believably do “out of character” things. Character development can be either positive (with the characters become more brave, heroic, or “morally good”) or negative (with the characters becoming crueler, more selfish, or more evil). I bring this up, because many people only think of a character development in the positive direction -- becoming a better person -- but it can work in the other direction. Walter White from Breaking Bad is a great example of negative character development, in that he becomes a more morally bankrupt person as the show progresses, starting out with understandable and sympathetic motives for his life of crime, but slowly becoming more power-hungry and/or more willing to do more and more drastic things (like murder) to keep on top. A character can start out good and then through a series of circumstances, conflict, and drama that we will call the plot, slowly turn into a worse person. Another point to remember is that people are complicated, conflicted, and complex. We have multiple belief systems, motivations, wants, and needs in our head at the same time. Say we have our lawful good character. He is sheriff, a law man, who believes all crime should be stopped and put to justice because them are the rules. But he is not just a sheriff. He’s a family man whose family is the most important thing in the world to him. He loves them and would do anything for them to protect them and keep them happy. And now it turns out his adult son is the no good head of the gang of bandits that have been terrorizing the local towns. And it is a trusty sheriff that has been called on to stop him, dead or alive. Opps, now our character has to choose between upholding his moral system about the law or his moral system about his family. I like option above because it is very internal, but you can also give your characters bad and worse options in an external conflict. Give them a trolley problem. Think of all those superhero films where the villain gives the hero an option to save like their girlfriend/sidekick or some innocent kids/the entire city. Usually the superheroes come up with the third option to save everyone, but not always (Ahem, the Dark Knight.) But much better is when the character has a much more active hand in the dark, bad and worse option. The ending of season 3 of the BBC show Torchwood had one of these. Make your character’s options a trolley problem. Human beings… we’re complicated. We have belief systems but we are often hypocrites. We give ourselves or loved ones a pass when we wouldn’t give the same benefit to strangers or acquaintances. Beyond hypocrisy and exceptions, we have breaking points. On tv tropes, that can sometimes be called a berserk button. Find a character’s breaking point and them drive to it. We say that a lot in storytelling and fiction writing. That… twists need to be earned. That sad deaths need to be earned. That endings need to be earned. Relevant to here -- when a character is driven to that breaking point, you as the writer need earn that. And all the other examples listed above. In screenwriting, because I watch a lot of film criticism youtube videos, the idea is phrased as: set up, reminder, and pay off. In writing, we talk about foreshadowing. I had a professor in college who always called these things “rehearsals” which is a really apt metaphor that I think should exist more preventable in the creative writing discourse. When I took dance classes as a youth at the end of the season we had a dance recital, but not until we had the stage rehearsal and dress rehearsal beforehand. If you are going to have a lawful good character do something morally reprehensible, you need to hint -- and in an escalating manner -- that he can do something bad. To remix the earlier example … you have the lawful good lawman who always brings in his guy alive because they should stand before a judge and jury. He’s never killed and never will. Then he does when his son is threatened. Now a lot of readers might find that reasonable because of our understanding of family bonds, but you want to set that up in the story. Show how close he is with his family. Have a minor threat happen earlier in the story for him to break his cool over. The reader may not straight out know the character's breaking point before it happens, but it should feel natural once they get to that point. There would have been hints. We should’ve maybe guessed a second before it happens. Like plot twists, character twists should make sense in retrospect. Those big, defining moments for a character, good or bad, have to be earned. They have to be deserved. These are the results of character development. Like many writers of the post-internet era, I can point to fanfiction as the thing that made me writer. Some people stay in fanfiction all their lives, doing it for the love of writing and the love of fandom. Some people move from fanfiction to original fiction. While it used to be embarrassing or a secret, more and more writers embrace their fannish roots. This is not a story about that. This much is true. I discovered fanfiction around 8th grade after a recommendation from a friend. (It was Harry Potter related because with was 2003-2004, so of course it was.) I read it. A few months later I started to write and post. I haven't stopped since. In 2008, I graduated from high school and started my undergraduate studies, in which I was majoring in Creative Writing. So, yeah, I fanficion got me pretty serious about writing. I had to actively apply for this major, along with the school, with a portfolio of my work. In 2012 I graduated with that degree, and even won an award for the best portfolio amongst my graduating seniors in my major. (Humble brag.) A few of my short stories had been published in the lowest entry barrier online magazines. I'm zooming past all that, although I want you to know the context. I was serious about writing. I got a degree in it. A degree that involved loans to pay for tuition, knowing it wasn't a job secure degree, and graduating into a recession economy just scraping its way back. During that time, I had told myself more than once it was time to give up on fanfiction and focus on original writing. I said that when I started college... of course, I made an exception for my ongoing fic. Had to finish. It was be cruel to my readers not to. (It was for Gilmore Girls, because Rory and Jess were made for each other, dammit). And the exceptions just kept coming. I mean, why deny inspiration when it hits? Of course, I was serious when I was going to quit fanfiction when I graduated college. I needed to write original work. It needed to be literary and important. I needed to get published. Of course, fic writing crept in around the edges. (A lot of it was for Glee, because Klaine for life.) (Please stop judging my fandom tastes now. No regrets.) It wasn't serious, but it was fun. People were reading it. At least I was writing something. I had sort of a different experience of shame, guilt, and writing fanfiction at this time in my life than the traditional narrative. I wasn't ashamed to write it from the get go. Geek chic, baby. It wasn't that writing fanfiction was anyway bad, it was just that it wasn't what I was supposed to write at this point in time. I was supposed to be starting my writing career. And as many people feel in their post-college early twenties, the clock was ticking. I had landmarks I wanted to hit. I needed to get short stories published and, more important, I needed to write a novel. I struggled to write and struggled to write and struggled to write. I lost my passion. I had definitely lost my vision. I hadn't even yet to truly discover my voice. I was trying to write to the vague shape of an idea of what I was "supposed to write" as judged by my fiction writing education from college. My complex feelings about my college writing education is another post all together. During this rough patch, a weird dispassionate and extended writer's block of sorts, fanfiction kept me writing. It was fanfiction that gave me inspiration for some of my original pieces that had ended up being accepted for publication in literary magazines in the next few years. It was fanfiction, which I finally embraced, and wrote a lot of, and wrote to completion, that helped me hone my style, practice storytelling, figure out my genres, and just enjoy writing. Fall in love with writing again, like I had been as a teen -- uninhibited and fun. I have since embraced fanfiction as part of my writing diet. No shame or 'I should be doing this instead of that' attitude about it. There are other steps in my writing journey that has gotten me to the place I am today, but I think this is important and not to be overlooked. Fanfiction made me a writer and saved my writing. In between there and now, it has honed my abilities. Maybe fanfiction was for you or maybe it wasn’t or maybe it was for just a short while. That’s not the takeaway here. Here it is: if it feels right, if you’re passionate about it, if you’re excited about it… then write it. That sort of artistic joy is a sign. It’s intuition. Go with it.